Day by day the number of road accident and other mishaps are rapidly increasing. There are some simple reasons behind it like fuel shortage, flat tire, radiator overheating and so on. Other than this, there can be some complex reasons as well as engine fire or accidents. In all the above incident one thing is very common that is, you need to avail towing services in order to get rid of the problematic situation. Usually when you are stuck in some problematic situation because of your vehicle then you become panic. In this situation, instead of becoming panic, you need to look for a reliable and trustworthy emergency towing company such as Flash Towing San Jose. we will handle your vehicle carefully without causing any damage to it. 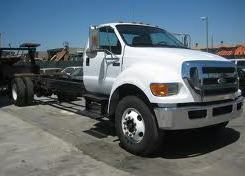 Though all the companies that are offering towing service are good and expert in their field, Flash Towing San Jose is the most reputed and well known towing company. We are known for offering quality service within a reasonable time limit. As we follow honest pricing policy so customers are also ensured that they will be charged reasonable amount based on the type of service they have availed. Some of the towing companies try to take advantage of this situation i.e. they charge you a very high amount because they know that you are in a vulnerable situation and will be ready to pay anything to come out of this unpleasant situation.